Okay, a bit of a warning here! I wrote some elements of this post a while back, like a really long time ago. I am sure a lot of you were aware of recent umm how should I put this... " Not so friendly discussions' about periods on Twitter. This post has been planned months in advance so please don't take this post to be any kind of malicious dig at anyone! I ain't going to get involved in that because no one likes someone who constantly drags up the past all the time! In my quest to talk about more taboo subjects on my blog this month, periods is one that came straight to my mind when I was brainstorming ideas! I mean it's 2016 ladies! Come on! Periods and mensuration are something we should not be ashamed about! It's an another normal human bodily function for all us females! Now when I say period pride, I don't mean wearing a massive badge on your chest, going around screaming at everyone you are on your period. Naturally for most it's a very personal, discreet time that we want to keep to ourselves. When I talk about period pride I mean, being proud of your body because periods are just simply another part of being women, something that shouldn't be frowned upon. However, if you do want to share information or pictures about your period, I can't stop you! Although personally, I don't see it as art and I do believe there should be some kind of limit to what people share, it's no different to some of the other pretty weird and very.... personal photos out there so you know I would probably just scroll past it and not really think much of it! If you want to share posts of your periods on social media, you knock yourself out! I appreciate the mentality behind it, though! Being proud of being women and being able to menstruate means that maybe one day you can bring another life into the world, which should be seen as a privilege as not all women are as fortunate! However, just because you are able to have a child it doesn't mean that you have to have one. But that's a post for another day I think! The one thing that bugs me about periods is how many names we have for them. 'monthlys' ' time of the month' ' Auntie * insert name of choice here* I am really guilty of doing it if I am honest. Telling someone I didn't feel very well at the weekend because auntie Flo came to visit. Well no that's not true! No one came to bloody visit. In fact, I sat in bed feeling sorry for myself. I just don't get what is so wrong about the word that we can't even say it to some of our friends and family. It is a completely normal bodily function for women anyway. Shouldn't we be proud of it? NO NO, I get it! We as a society crave a common language to be able to describe the process seamlessly without it being awkward. But it's just a word? Another thing I don't understand in relation to period pride is why women are taught to hide their periods and the items that go alongside it. For example, in the picture above you can see that I have quite a few tins for sanitary items. I mean for practical reasons that's fine but if used because you want to hide the fact you carry a sanitary towel on you, that isn't fine! It's not dirty! I mean I hope it is not dirty! 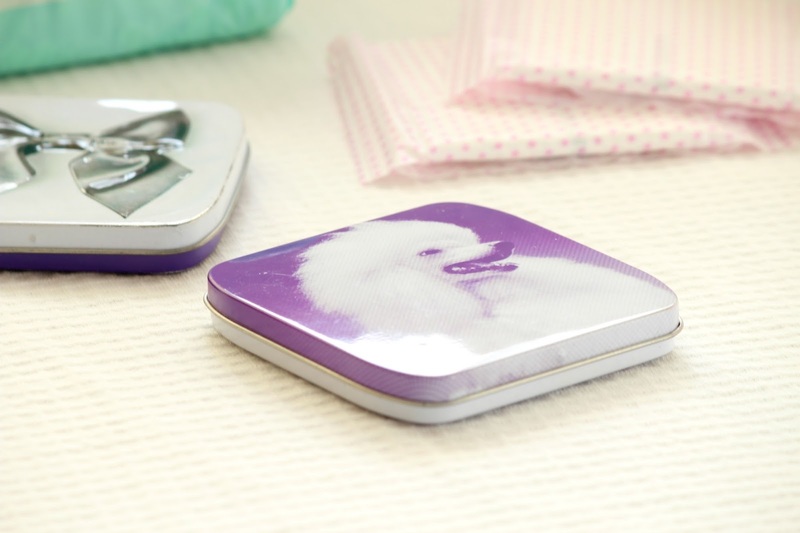 I am quite good at happily getting out one of my tins if there is something I need underneath in my bag. I think from young age girls are taught that is disgusting or grim but actually it is just as normal as going to the toilet for man accept ours only happens for a week every month and causes us far too much pain then most of us would like to admit! I found some statistics on Twitter when all the discussions were floating around about how poorly women are treated when they are on their periods. How men think it's so filthy and disgusting! THIS IS WRONG! Surely if we have the power to talk about it, we should! Although periods are very personal to the individual I think that ladies, you shouldn't be ashamed of it! If something doesn't feel right about your period, have courage and pride to talk to someone about it! After all, we are all human and it is just another, although very unpleasant at times, part of being female! And I know you probably think I am crazy, banging on about how much I love my period when it's the worst week of the month that ruins a perfectly good pair of underwear, sends your emotions all over the place and makes you eat the whole biscuit tin- in one go! Whether you love your period or are just more happy to talk about it! Raising awareness is what removes stigmas, so please, have more confidence in your period! And that's it! I hope you enjoyed another topical post from me! I definitely enjoy writing them and raising awareness of these important issues. Have you ever experienced period shaming? Are you proud of your period? Let me know in the comments below! Yes! We need to remove all stigmas attached to periods and the thought that they're disgusting things - they're just normal! Great post as always. Absolutely agree! :D I couldn't be one of those women who hide their tampon up their sleeve... If I need to go to the bathroom, and I can't take my bag, then you're going to see it xD Considering we're on our periods for about a 1/4 of each month...why is it such an issue?! I find it absolutely hilarious when people (males mostly) freak out about finding a towel or tampon in your bag, they react like it has been used! Loved this post, I think it's about time we become a lot more relaxed about periods!